Hortus Camdenensis | Acacia suaveolens (Sm.) Willd. Introduced to Britain in 1803. [JD]. Described and figured in Banks and Solander – Illustrations of the Botany of Captain Cook’s Voyage Round the World in H.M.S. Endeavour. p.26 and pl.83. LBC no.730/1823. 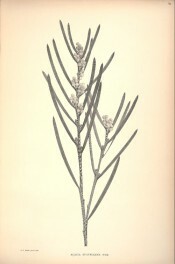 Acacia suaveolens is marked with an ‘x’ in an 1836 edition of Loddiges’ catalogue held at Camden Park [CPA]. The meaning of this is uncertain but plants growing at Camden were marked with a ‘c’ in the same catalogue and many plants marked with an ‘x’ subsequently appeared in lists of desiderata to Loddiges’. 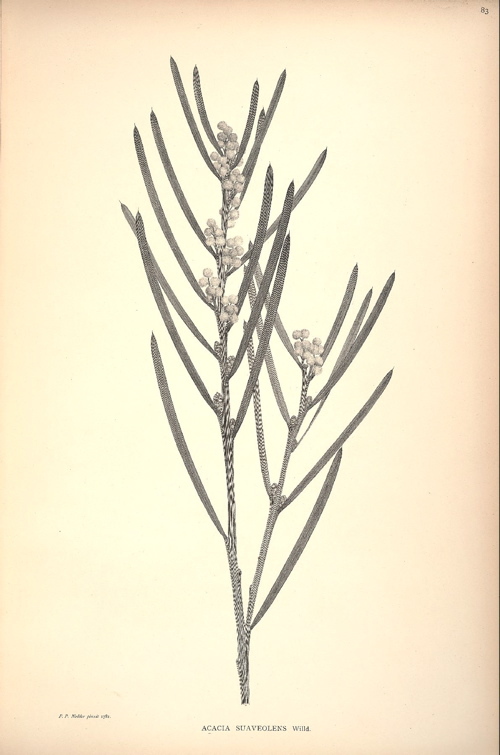 It seems likely that William Macarthur was familiar with this plant as it is widely distributed in coastal heath and dry sclerophyll forest.